Thank you for your interest in the Academic Support Initiatives Research Team position for undergraduate and graduate students within the Department of Residence Life. The Department of Residence Life at Texas A&M University serves an on-campus population of approximately 11,000 students in a variety of residence halls and apartment living spaces. The department also supports a student Research Team who specifically work on a variety of active research project(s) with the Academic Support Initiatives area of the department. Duties of Student Interns within Academic Support Initiatives are beyond those of typical student employee positions. The objective of student interns is to work with the Research Team within the department and for the student to gain valuable experience directly tied to their field of interest. The purpose of the Research Team is for undergraduate and graduate students to choose one or more of the available research projects within the area. The student will work with a faculty supervisor or research mentor to complete this project-based assignment/experience. Some experiences will be team-oriented while others may be independent projects. 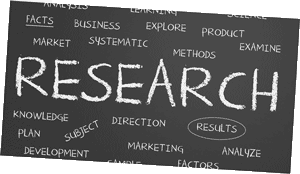 The Research Team is a competitive application and a two-part selection process. The two parts include (1) an application review and (2) interview. Applicants who make the application review will be invited to a 30-minute panel interview. The panel will be comprised of current Research Team members and professional staff and/or faculty member from the Department of Residence Life. Selections and offers are typically made within one- two weeks following the interview. Thank you for your interest in and applying for Research Team position within the Department of Residence Life at Texas A&M University. Students on the Research Team are considered Student Interns by human resources. Ability to designate approximately 2-15 hours per week to complete activities, meet with faculty or research mentor, and attend relevant meetings. Prior experience or interest in the on-campus experience, student learning and development, education, leadership, peer mentorship, and other social science topics. Ability to be self-directed with excellent written and verbal communication skills. This experience could afford flexibility with time on task; not needing to be done during business hours. Please review the information on this website as well as the Position Description before you complete an application. Compensation for Research Team members are enumerated below. Research Team members are considered Student Interns for human resource purposes. Students will be paid an hourly rate for their contributions to the research team. Student Interns must be able to provide proof of identity and employment eligibility as well as pass criminal background check. Students will be paid for their hours worked following the bi-monthly pay schedule. Residence Life may not be a unit or department on-campus that students considered for the research we conduct. Often our research and interest center around understanding and improving the on-campus student experience. Much of our research focuses on the topics of: student learning and development, education, leadership, peer mentorship, and other social science topics/humanities topics. Below are some current and past projects. Additional project information can be found on our assessment page. This project will be to select 2 or 3 foundations or non-profits that would fund an innovative initiative that is being proposed by the Academic Support Initiative area. This experience would require: researching funding sources, meeting with initiative stakeholders, and writing up the grant application for submission. The department has research approval to interview Black and Hispanic students living on campus about their experiences. This project will work to aid in the literature and write up of the findings for publication. Additionally, this project would also develop and/or implement the programmatic intervention that Residence Life may offer to support under-represented students in housing. This project will be to assess student space usage across our residential facilities to determine spaces most used, least used, and any alterations that need to be made in order for spaces to be more conducive to the needs of students. Some of the areas we will be examining include true study lounges, study nooks, kitchens, and outdoor spaces. Recommendations for renovations and furniture additions will be proposed. This study will likely partner with an Architectural firm to conduct the study. Several Living Learning Programs (LLP) are housed on the Texas A&M University campus. These programs connect various academic and student affairs units to students who live together in a particular building. This assessment/research project will work to create a new quantitative instrument by pulling together feedback from over 30 campus collaborators. Items to consider for inclusion would be leadership development, knowledge of resources, referral skills, academic support skills, LLP experience, retention, and knowledge that can be related to their specific discipline. All students applying to live on-campus and join an LLP answer two common questions. “What do you plan to gain from your experience in the LLP? What do you plan to contribute?” This research study will require submitting an Institutional Review Board application and conducting a qualitative unit analysis of applications to Living Learning Programs. Academic Support Initiatives is interested in pursuing unique and creative research ideas. The only expectation is the research aids in improving the on-campus residential experience at Texas A&M University. Ideas or topics can and should be shared with the research team. An optional but strongly encouraged option for undergraduate students is to use their Research Team experience to also complete requirements within the Undergraduate Research Scholars program. Undergraduate Research Scholars engage in a two-semester (fall/spring) research project conducted under the supervision of a Texas A&M University faculty mentor that culminates in a public presentation and written thesis. This program seeks to involve any eligible undergraduate in the “graduate student” experience and introduce them to the academic publication process and scholarly community. Additionally, this program plays an important role in ensuring the unified format of undergraduate theses published at Texas A&M University. Learn more about the program, eligibility, and how to apply to this separate program. Benefits for completing the Undergraduate Research Scholars program in tandem with the work on the Research Team are: a research transcript notation, graduation regalia including a medallion, opportunity to complete an undergraduate research thesis, and more! When applying for the Research Team, please discuss this opportunity at your interview. Research Team faculty or your research mentor will guide you through your proposal and application process. Interested students ought to complete an application in the Residence Life Student Employment Portal. Additional instructions are below. Click the Apply button. Login with your NetID and password. Once logged in, select Student Employment Application from the top menu. Choose from New Applicant or Current Employee to begin your application. Follow the on-screen instructions. Once presented with student positions on the Student Employment Position Descriptions, select the checkbox for Academic Support Initiatives Research Team Member. When prompted with essay questions, be sure to connect your responses to your major/degree and your desire or experience related to research. Applications are accepted on rolling basis. Some specific research projects may have deadlines that are highlighted in recruitment materials.